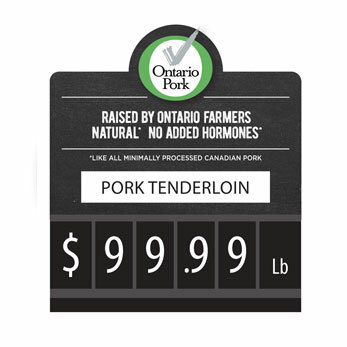 Our Ontario Pork branding highlights in-demand, premium attributes. *Like all minimally processed Canadian pork. 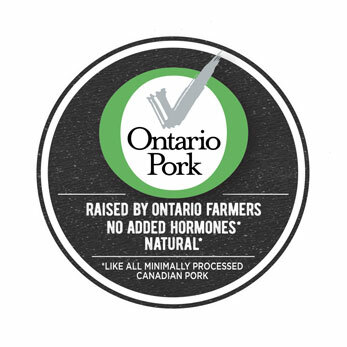 Use our logo to market your Ontario pork. Highlight its premium attributes without the added cost and gain margin versus other non-branded and non-local pork. The majority of shoppers asked prefer local. 74% of consumers say they are "very likely" to purchase local when it's indicated. 41% of consumers are willing to pay more for locally sourced meats. 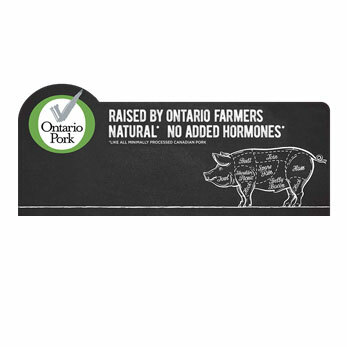 Do you sell Ontario pork? Become a retail member. It's all FREE. 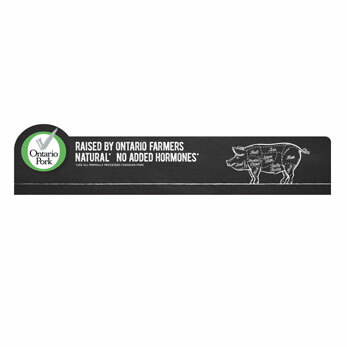 Order TodayGet Ontario Pork branded stickers, meat dividers, window clings and price tags. Consumers are looking for local. Order your FREE point of sale (POS) materials today. 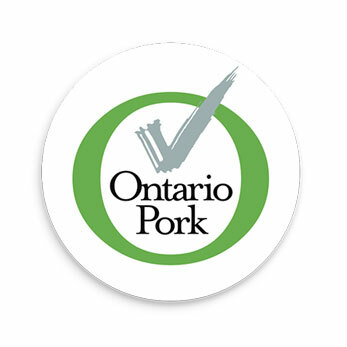 More than 4 in 10 (44%) recognize the Ontario Pork logo. That's more recognized than chicken or beef. 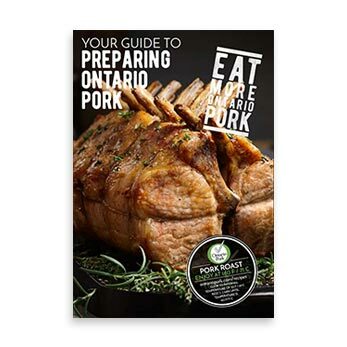 Ontario Pork's marketing team creates engaging, wide-reaching content to advance the brand across Ontario. 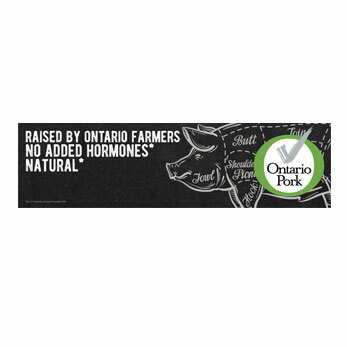 Get Ontario Pork branded stickers, meat dividers, window clings and price tags. Consumers are looking for local. Order your FREE point of sale (POS) materials today. Younger consumers are more likely to feel influenced by a product feature display. 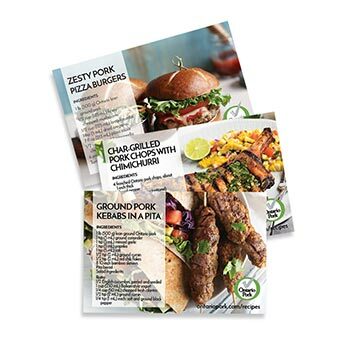 Shoppers are 31% more likely to purchase a product when there's an accompanying recipe near by.